Trane’s lineup includes air conditioner models to fit any homeowner’s needs. The Trane High Efficiency XR15 central air conditioner is not a top of the line model but it still delivers an impressive 17 SEER and is known as a workhorse unit. Dale in Alamogordo, NM had one installed recently and shared his Trane High Efficiency XR15 central air conditioner price with us. 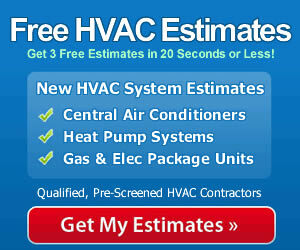 We invite you to compare prices on units you’re considering by reviewing our HVAC prices articles on these pages. Here’s Dale’s report. “I’ve enjoyed researching HVAC stuff on your site. It’s been very helpful. Much appreciated. I’ve got a 7-year old HVAC system with a furnace we don’t use too much but an air conditioner that got a workout. It failed last summer. It had only a 5-year warranty and was sort of a builder’s grade model. I researched central air conditioner prices here then called 3 local dealers to look at my HVAC system and recommend an air conditioner and give me prices. The companies were Trane, Goodman and American Standard since these dealers have the best reputations around here. The Trane dealer insisted on doing a load calculation survey because he thought the 2.5 ton central air conditioner we had was undersized which may have accounted for it failing in only 7 years. His conclusion was that a 3.0 ton unit would serve us better. I priced 3 ton units from all the dealers. Goodman had the best price, while Trane’s was next. I decided to go with Trane because his assessment made sense and he seemed to really know his business. Saves up to 40% or more on cooling costs when replacing an older model. Reduces greenhouse gas emissions because it is more efficient. Uses R-410A refrigerant that is environmentally safe. DuraTuff base pan is corrosion-free. Spine Fin coil more effectively transfers and dissipates heat. Available in sizes from 1.5 to 5.0 ton cooling capacity (18K Btuh to 60K Btuh). 10-year limited compressor and parts warranty. The Trane dealer made the point that an undersized air conditioner may not have the longevity you’d expect. That’s just one reason to hire a qualified contractor to handle your air project. An improperly installed unit will also be prone to failing prematurely as well as underperforming in terms of energy efficiency. Having an experienced professional do the load calculation and the installation will ensure your unit is running correctly and will give you your money’s worth in the years ahead.